Lady Cosgrove our Patron very generously opened Admiralty House to close to 100 supporters of Paint the Town REaD for a Reception on Monday night 9th May. Lady Cosgrove spoke of her passion for reading with children from birth, and gave examples from her own life. 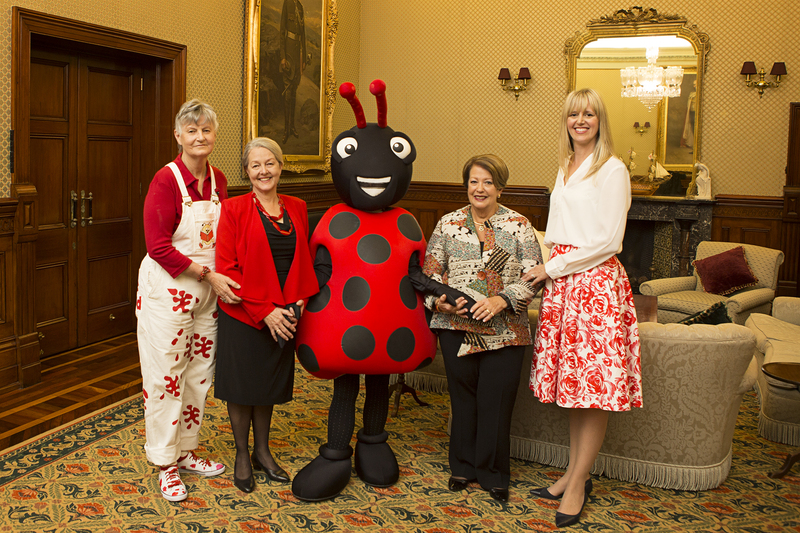 Lady Cosgrove and PTTR Board members with the Reading Bug.